Reputation Management Company in Michigan | Increase Reviews Online! A new era for posting online customer reviews. Build your 5-star reviews from Google, Yelp, YP, and More, through our intuitive reputation management software platform. Using the cutting-edge repuation management software to capture testimonials, your clients can receive a text message to leave a review. Additional strategies to get Google reviews include effective email campaigns and more! Let’s start building a positive reputation today. The latest technology in reputation management software is included FREE with any package. We will implement the reputation software, train your staff, and help you grow your Google reviews online! Why Choose Our Online Reputation Management Company? Offering turn-key reputation management software, we will build an effective strategy for your business to get more positive reviews online. Not only will our company help you build your 5-star reviews, we will market your positive reviews across your social media networks. Proudly serving surrounding Michigan communities and beyond. You have options! Just have your customers sign into our reputation software, before or after their appointment/event, and let our software take care of the rest. We will send a text message and/or email request for a review! Using the latest technology in collecting Google testimonials, our software will only post 5-Star reviews and will help eliminate negative reviews from being posted online! We can choose the directories for your patients to post including Google, Facebook, Yelp, and More! Our reputation services team will help you manage your reviews, to ensure your great reputation is evenly spread across your networks. Always know when your patients or clients leave you an online review. We will send you notifications so you are always up to date! 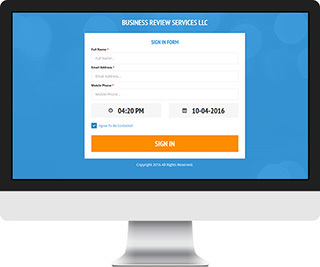 Just have your customers sign in to our repuitation management platform, and our software will take care of the rest. Let’s build your reputation online with our effective reputation strategy. We will help you implement the latest technology in reputation management to get reviews. Our team will help your business spread your online reviews across important directories such as Google, Yelp, YP, Facebook and more! ARE YOU LOOKING TO GROW YOUR REVIEWS ONLINE? Let’s Start Building Your 5-Star Reputation Today! "George over at Web Fox Marketing helped us out with our online marketing strategy. His local knowledge in Google and Bing ranking in search is invaluable, for putting your business on the map. I would highly recommend any startup or existing business to get a hold of George over at Webfox." We understand Reputation Management can be intimidating and time consuming. That is why we offer a managed solution for your business. We will implement the reputation software for you to start collecting 5-Star reviews online. Webfox Marketing is a full-service digital marketing agency and can handle all of your online marketing needs. Make sure to check out our video marketing, social media, and content marketing services! Visit Our Blog To Learn More About Reputation Management! Online Reputation: Advantage or Deterrent? How Well Do You Impress? Reputation Management Online. Webfox Marketing LLC is located in Livonia and Novi, Michigan and offers website design, Search Engine Marketing SEO, Google local ranking expertise, Pay-Per-Click PPC marketing, and Lead Generation Services. We combine Social Media Marketing, Content Marketing, Blogging Services, and Reputation Management to bolster our client’s organic authority and local ranking position online. We manage multiple Google Adwords and Bing Ad campaigns online and are Google Search Certified. Whether you are looking for an e-commerce website or just wanting to increase your presence online, our website agency can help! Let's get started today, call now and speak with a digital marketing professional.